These feminized autoflowering cannabis seeds produce high-potency Afghan indicas (AKA ‘Afghanica’ or Kush plants) with a hint of sativa and a strong tendency to show violet hues in their buds. Purple Bud Automatic flourishes indoors or out, even in cool climates or on a balcony. 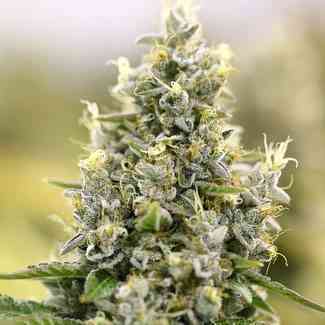 Auto-flowering tendency allows anyone to grow a great harvest of colourful buds! Purple Bud Automatic is a feminized multiple hybrid with roots connecting some of the most important cannabis gene-pools in the world. The main ancestors of this strain can be traced directly to the legendary indica cultivars of Afghanistan’s Hindu Kush mountain range. Other parent plants which contributed to the Purple Bud breeding program have their origins in the Caribbean, and in California’s medicinal cannabis community. Two carefully selected Afghan hash plant cultivars are the biggest influence behind Purple Bud Automatic’s stocky growth pattern, swift blooming and high potency. 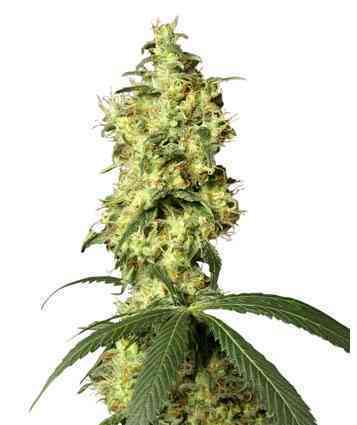 Recessive sativa qualities were introduced via a very special Jamaican cultivar. This potent tropical plant gives Purple Bud a little extra height, plus a lot of extra high after harvest! 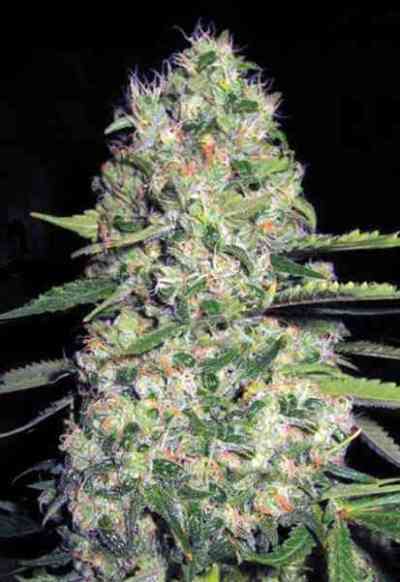 The original White Label Purple Bud feminized cannabis seed strain was created by breeding that Afghan-Jamaican cross with a stunning double-Kush hybrid made from Dutch-bred Hindu Kush and purple Kush from California. Most recently, Ruderalis genes were added to the mix in order to give the strain auto-flowering capabilities. After several generations of back-crossing with the parent plants, this tendency and the strain’s colourful, high potency characteristics were stabilised and Purple Bud Automatic feminized cannabis seeds became an official White Label variety. Purple Bud Automatic produces most of its harvest on its main stem and upper branches. As an auto-flowering cannabis strain, pruning (or ‘topping’) the stem and branches will not increase budding sites, because the vegetation period of automatic strains can’t be extended to allow the regeneration of pruned branches. Similarly, when grown indoors, light cycle manipulation will not increase or decrease the final height of this strain. Purple Bud Automatic has an overall cultivation time of 13 to 14 weeks, with the last 8 to 10 weeks devoted to flowering. This means that plants enter their blooming period automatically, after about 4 to 6 weeks of vegetative growth, regardless of the photoperiod (light hours per day). At the end of their growing and flowering periods, mature plants typically range in height from 90 to 140cm and are often bent under the weight of their resinous purple flowers. Purple Bud Automatic flowers begin as knots of spiky calyxes which cluster at the nodes and bracts, then rapidly expand into solid, chunky buds. In the final weeks of flowering, the buds at the tops of the main stem and branches swell in size and join together into large colas. Strings of bulbous green and purple calyxes also start to ‘run’ along on the lower branches, narrowing or closing the gaps between buds. Purple Bud Automatic produces many shades other than green, with foliage ranging from dark blue-green, to lavender and violet, to burgundy and dark red. Unlike strains where purple colouring is mostly caused by low temperatures and is seen mainly in the leaves, the colours of Purple Bud Automatic are seen in its calyxes and large buds as well as in its leaves. While low temperatures in the flowering period can certainly accentuate this strain’s purple tendency, plants which enjoy perfect conditions all through their growing and flowering cycles should also display interesting colours. It’s not uncommon to see Purple Bud Automatic finish with lime green leaves that serve to accentuate its deep purple buds. This strain takes on an even more mouth-watering look when its mature floral clusters become frosted with a layer of sparkling resin glands, adding a silvery, light-refracting sheen and accentuating the hues beneath. At their peak, the best examples of Purple Bud Automatic take on the appearance of richly coloured velvet. Dried buds taste and smell just as delicious as they look with a rich, resinous pine-sandalwood flavour and sweet, fruity, musky undertones. Purple Bud Automatic’s pure indica hash plant forebears are the main source of its thick buds, rich aromas and fascinating colours. The Jamaican sativa ancestor gives some extra expansion and ‘run’ to the blooming phase and, more importantly, adds an uplifting cerebral effect which improves and extends the relaxing, body-centred buzz of its indica-dominated family tree. Even seasoned growers and consumers will delight in a harvest of Purple Bud Automatic. On top of the resinous potency and delicious flavours, its striking appearance and beautiful colours will catch the eye every time. This tends to mean that purple buds disappear much faster than green ones! For a rewarding, easy to grow, autoflowering indica hybrid which stands out from the crowd and packs a serious punch, choose Purple Bud Automatic! Sind nicht größer als 40 cm geworden. Ertrag pro Pflanze 14g trocken. Bei der mageren Ausbeute gab es trotzdem ein Highlight: Die Buds sind nicht Lila, sie sind fast schwarz. Cooler Eyecatcher!